Organovo is a biotech company developing multi-cellular, dynamic and functional human tissues for drug discovery and medical research. Its proprietary 3D bioprinting technology enables the creation of tissues mimicking key aspects of native tissues. Organovo offers structurally and functionally accurate bioprinted human tissue models. Indeed, Organovo creates functional human tissues using its proprietary three-dimensional bioprinting technology. With reproducible 3D tissues accurately representing human biology, Organovo enables ground-breaking therapies giving researchers the opportunity to test drugs on functional human tissues and bridging the huge gap between preclinical testing and clinical trials. Organovo aims to create functional, three dimensional tissues that can be implanted or delivered into the human body to repair or replace damaged tissues. The flexibility of its bioprinting technology, which marries biology and engineering, allows Organovo to target many different tissues for development of human tissue models. exVive3D bioprinted human tissues enable the capture of human tissue specific data to support better predictive outcomes. exVive3D Bioprinted Human Tissue Models are constructed with human cells and the extracellular matrix those cells secrete. These tissues are densely cellular, with a micro-architecture that closely resembles in vivo tissues. Furthermore, Organovo’s exVive3D Human Tissues are highly dynamic: new cells are created through cell division; they mature and integrate into the tissue, forming connections with surrounding cells and contributing functionality throughout their lifespan. Organovo’s exVive3D bioprinted human tissues are specifically developed for use in Organomics, the study of living organs in vitro. These 3D bioprinted human tissues are constructed using a process that translates tissue-specific geometries and cellular components utilizing the NovoGen Bioprinter. 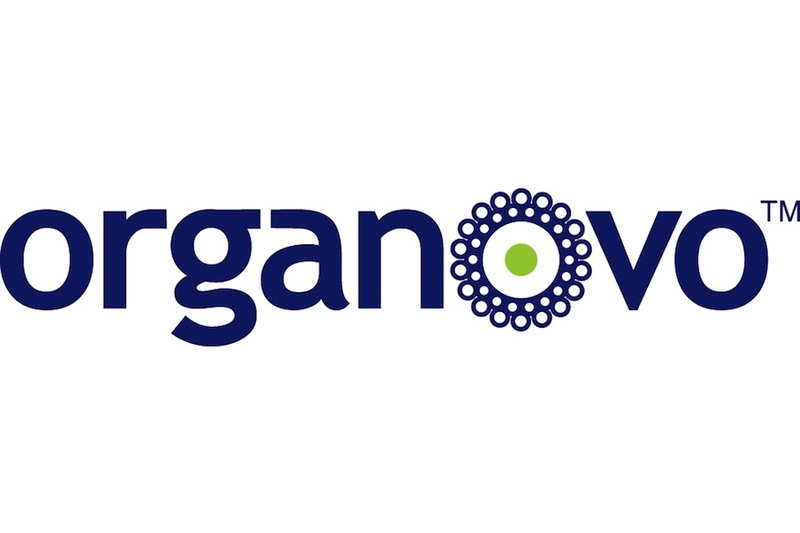 Organovo’s Management Team, with diversified management experience in the life science industry, is composed by Keith Murphy, Barry Michaels, Sharon Collins Presnell, Eric Michael David and Michael Renard. Board of Directors is composed by Keith Murphy, Robert Baltera, James Glover, Tamar Howson, Richard Heyman and Kirk Malloy. And Scientific Advisors are Gordana Vunjak-Novakovic, Glenn Prestwich, David Mooney and Craig Kent. Organovo’s tissues are made available through testing services, customized projects or partnerships. This entry was posted in Biotech Companies, Biotech Companies USA and tagged 3D bioprinting, 3D bioprinting technology, 3D tissues, Barry Michaels, bioprinted, bioprinted human tissue, bioprinted human tissue model, bioprinted human tissue models, Bioprinter, bioprinting, Craig Kent, David Mooney, Eric Michael David, exVive3D, exVive3D bioprinted human tissues, Glenn Prestwich, Gordana Vunjak-Novakovic, James Glover, Keith Murphy, Kirk Malloy, Michael Renard, NovoGen, NovoGen Bioprinter, Organomics, Organovo, Organovo - 3D bioprinting, Richard Heyman, Robert Baltera, Sharon Collins Presnell, Tamar Howson, three dimensional tissues, three-dimensional bioprinting, three-dimensional bioprinting technology by Biotech365. Bookmark the permalink.